The New York Times reported Tuesday that US Defense Secretary Ashton Carter has provided the White House with a detailed plan for expansive military operations throughout Libya. The proposal was presented by Carter to President Barack Obama’s top national security advisers on February 22. Drawn up by the Pentagon’s Africa Command and the Joint Special Operations Command (JSOC), the operation would reportedly involve airstrikes on 30 to 40 targets determined to belong to the Islamic State in Iraq and Syria (ISIS). Citing anonymous government officials, the Times reported that once the plan is approved by Obama, warplanes will launch attacks on alleged ISIS training camps, command centers and munitions depots while also providing air cover to various US-backed militias, which include Islamist elements similar to ISIS. Typically, the Times report failed to mention that the Obama administration bears responsibility for the destabilization of Libya and the growth of ISIS and other Islamist militias across the region. Under the pseudo-legal guise of the “responsibility to protect” anti-government protesters in Benghazi from a supposedly impending massacre, the US and its imperialist allies in Europe launched a regime change operation in 2011 to oust Muammar Gaddafi, the longtime leader of the oil-rich country. Spearheaded by Hillary Clinton, then Obama’s Secretary of State, the supposedly humanitarian operation resulted in the deaths of approximately 30,000 people; the brutal lynch-mob murder of Gaddafi; the de facto partition of Libya between multiple competing factions; and the destabilization of countries throughout the Middle East and West Africa. Since 2011 the United States and its allies have repeatedly launched air strikes and Special Forces raids in Libya, something which US officials have insisted will continue regardless of plans for wider military operations. Last month the US launched an airstrike on an alleged ISIS training camp in western Libya near the border with Tunisia, killing as many as 50 people. At a televised town hall event hosted by Fox News Monday night, Clinton, the Democratic frontrunner in the 2016 presidential primaries, once again led the charge for intervention, stating that she supports the deployment of US Special Forces to Libya and favors the expansion of American military operations. While the official position of the US and its European allies is that they will wait to launch military operations until the formation of a national unity government in Libya, hundreds of Special Forces troops have already been deployed covertly to Libya for the last several weeks to lay the groundwork for a much larger assault. Aircraft from the US, France and Great Britain have also been flying reconnaissance flights over the country. 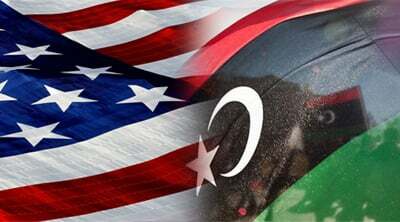 Soldiers from the US, Britain, Italy and France have been deployed to Misrata in the west and Benghazi in the east to train and arm militias which, in addition to fighting each other for control of the country, are confronted with a growing branch of ISIS centered in the city of Sirte. The main groups receiving support are the Libya Dawn, which includes fighters linked to Al Qaeda, loyal to the Islamist General National Congress based in Tripoli, and the forces loyal to the Council of Deputies based in Tobruk, including those under the command of the CIA-backed Libyan general Khalifa Hifter. Italy in particular is playing a crucial role in preparing for the opening of renewed military operations in its former colonial possession. A joint military operations center has been established in Rome, and an agreement was reached in February to allow the United States to carry out airstrikes in defense of Special Forces deployed in Libya, using manned aircraft and drones stationed at Sigonella airbase in Sicily. Last Friday US Ambassador to Italy John Phillips told Corriere della Sera that Italy was preparing to deploy 5,000 troops to Libya to fight ISIS. “We need to make Tripoli safe and ensure that ISIS is no longer free to strike,” he stated. A main factor in the current press for expanded military operations in Libya is the broader effort to block hundreds of thousands of refugees who continue to flee to safety in Europe from their home countries in the Middle East and North Africa, areas which have been devastated by a decade and a half of imperialist military intervention. “Clearly the spring approaching and the prospect of a new influx of refugees from Libya are accelerating western plans to agree on a military intervention and its outlines,” IHS Country Risk MENA senior analyst Ludovico Carlino told Tunisia Live late last month. In recent days the European Union and NATO have ramped up military operations in the Aegean Sea, seeking to push back those refugees, mainly from Syria, Iraq and Afghanistan, seeking to reach Greece by boat from Turkey.